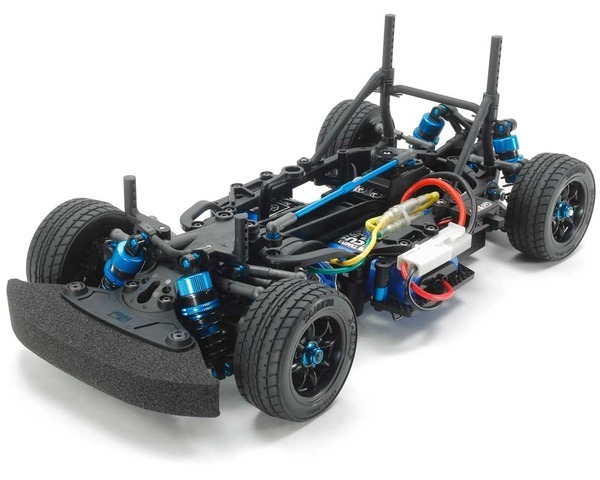 1/10 scale R/C chassis assembly kit. length: 332mm. 2-Channel Radio, servo, motor, ESC, 7.2-7.4volt battery pack & compatible charger, m-chassis body set, and Tamiya PS paint.